Who would dream that a little girl from a mining town in Northern Ontario, Canada would one day be able to jet off for the weekend to Australia? 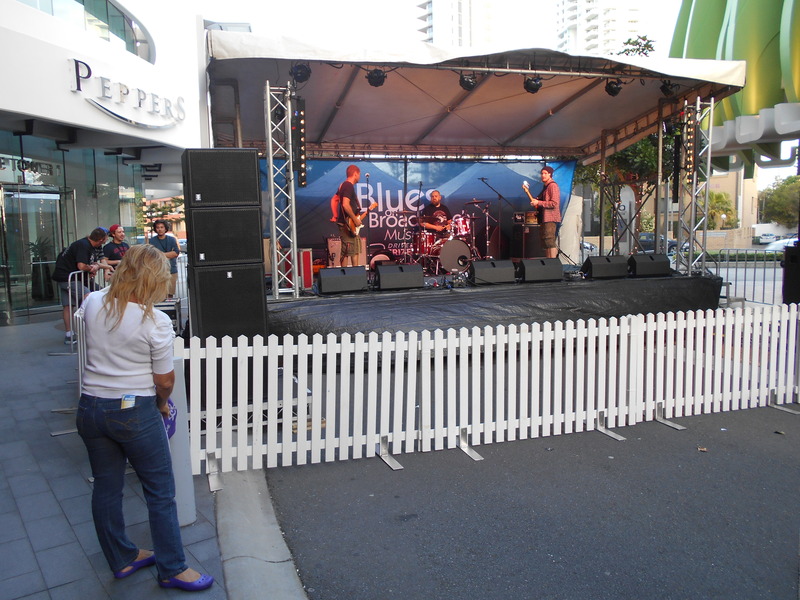 Thanks to my friend Lori, I was introduced to Airbnb, Surfer’s Paradise, and the Blues on Broadbeach Music Festival on the Gold Coast of Queensland. Calling this piece of coastal heaven “paradise” is not just hype, and for the millions who visit the Gold Coast every year, the big draw is the beaches, but it was the siren song of a music festival described by Wikipedia as “one of Australia’s largest Free Blues Festivals which began in 2002 and continues to draw significant crowds each year, while remaining a free outdoor event for people of all ages to attend” that attracted us. By flying with a budget airline, staying with an Airbnb host instead of at a hotel, and using the convenient public transit, we were able to make this fantastic weekend getaway affordable. I still haven’t done that!